I am so excited to share this new Tunisian Colorblock Scarf pattern with you. Lately, I have been trying to expand my skills with the tunisian crochet technique and I thought it would be fun to create a colorful and beginner-friendly scarf pattern for you all! If you have never tried the tunisian technique before, don’t fret! I promise you, it is a lot EASIER than it looks. 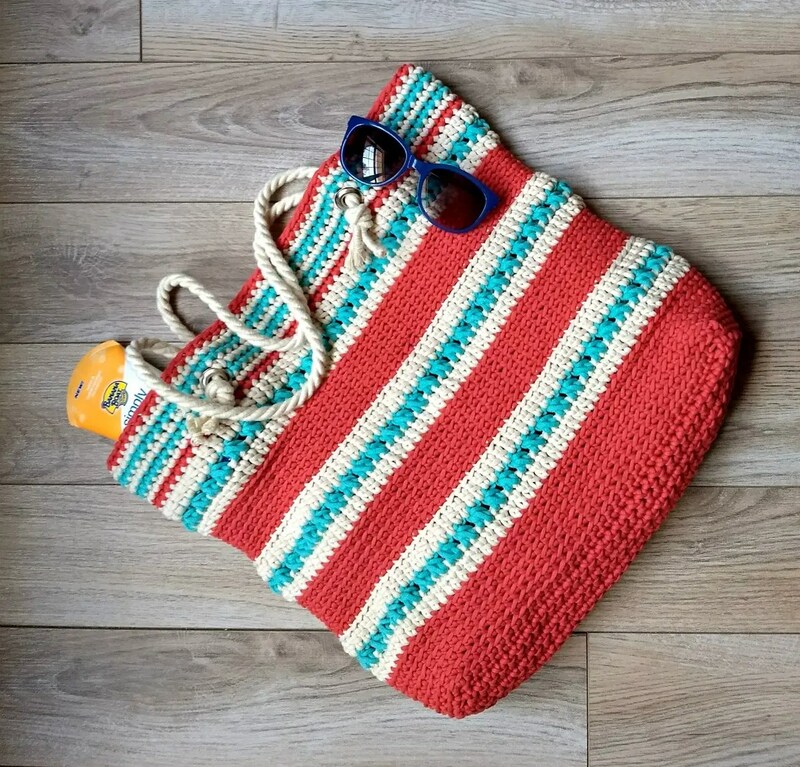 If you already know the basics of traditional crochet, then you may find starting tunisian a little easier. The stitch I chose for this pattern is called the Tunisian Half Double Crochet stitch. It creates such a beautiful and interesting texture! The yarn I chose for this pattern is from Yarnspirations and it is from their Caron X Pantone line. This yarn has become one of my favorites to work with. I used this yarn in my Cobblestone Beanie pattern as well. I knew I wanted to add a lot of color to this pattern. I love that the Pantone yarn already puts coordinating shades together so you don’t have to! I just love the pale pink and how it combines with the grey and purple so well. Another reason I love this yarn is that you can buy a few different colorways and mix and match them to create something so unique and creative! You will need three skeins of the Pantone yarn for this pattern. You can choose to go with all the same colorway like me, or you can mix it up. The color in the pictures is called Wistfully. You may have also noticed that I chose to take pictures of this scarf as both a traditional scarf and an infinity scarf. I could not decide what I liked better! I wanted to show both options for you 🙂 If you choose to make it an infinity scarf, just sew the short ends together to form a circle. You can even make it a mobius look if you choose! I really hope you like this pattern. Tunisian crochet is such a fun technique that I know you will enjoy. If you would like to check out some of my other patterns using this technique, click the links below. If you would like to add this pattern to your Ravelry queue, click HERE. Scarf is worked as a long rectangle that can either be left as a traditional scarf, or sewn together to create an infinity scarf. The forward pass and the return pass will always be the same throughout the entire pattern. I would suggest watching the VIDEO tutorial first, so you can become familiar with the Tunisian Half Double Crochet stitch. Please take note that in the video tutorial Mikey chooses to make a Ch.1 every time he starts a forward pass. In my pattern, I chose NOT to do this. I found it created too much slack on the right side of the scarf. Watch this VIDEO tutorial to learn how to bind off. Return Pass – Yo, pull through one loop on hook. Then, yo and pull through three loops on hook. Continue to yo and pull through three loops on hook until to have one loop remaining on hook. One row of thdc made! Forward Pass – Yo, insert hook from right to left through both vertical bars, yo and pull up a loop (3 loop on hook). Continue to yo and work through each set of vertical bars until you come to the end. Remember to work last stitch at the end! Return Pass – You will work the return pass exactly the same as above by yo pull through one loop on the hook, then yo and pull through three loops on the hook until you have one loop remaining on the hook. You will work the Forward Pass followed by the Return Pass for the remainder of the scarf. You will change colors during the Return Pass when the last three remaining loops are on the hook. Here is a VIDEO tutorial. In this tutorial, Toni is working the Simple Stitch so she has only two loops remaining on her hook but the concept is the same. Go to 1:13 in the video. Now you have a new color to work with! Continue working the Forward Pass and the Return Pass throughout the rest of the scarf pattern. To bind off, insert hook through the first two vertical bars, yo and pull loop through the two vertical bars and the second loop on the hook. Essentially you are making a slip stitch. Complete this all the way across the row. Bind off. There is a video tutorial link in the “notes” section above showing how to bind off. I’ve always wanted to crochet my own pair of mittens. When I first learned how to crochet, I would see all these gorgeous patterns for mittens or gloves and thought how difficult they looked to make. I never really gave it a second thought after that. I know I’ve mentioned this before, but I don’t like difficult patterns. I lose interest. Is that just me? I wanted to make the pattern for these mittens easy. They are worked by starting at the top and working your way down in a continual spiral. You will need to use a stitch marker to keep track of rows. The ribbing is created by making post stitches. The thumb is then crocheted in the round and sewn at the top. A #3 light weight yarn is used for these mittens. I didn’t want them to be bulky. I know some prefer that look but that is not what I was going for in this pattern. You can certainly use a bulky weight yarn, or even a worsted weight for this pattern but you will have to adjust your stitch count. The concept is the same though no matter what weight you choose. I was able to crochet these mittens in only a few hours. If you use a bulky weight yarn they would work up even faster! It is also a great pattern for beginner crocheters! Mittens are crocheted by starting at the top and working your way down in a continual spiral. Do not join. A stitch marker is used to keep track of rounds. A #3 light weight yarn is used in this pattern. It is possible to use a different weight yarn just keep in mind that stitch count will be different. Thumb is crocheted by joining rounds and then sewn together at the top. Ribbing is created by crocheting back and front post stitches. Any #3 light weight yarn. The yarn I used is Baby Bee Sweet Delight yarn. All stitches are worked in back loop only (blo) unless otherwise indicated. Complete 8 hdc in circle. Do not join. Move up stitch marker to first stitch of every round. Make sure to end round 21 with a slip stitch to first st of the next round. Attach yarn to edge of thumbhole and make 13 sc around. Join with a ss. Bind off leaving a long enough tail to sew top of thumb closed. All instructions for the left mitten are the same as the right mitten with the exception of Round 15. Follow all other pattern instructions for the right mitten. Round 15 – Hdc in the first 22 stitches. (work through both loops on 22nd st). Then, Ch.7 and skip five stitches, hdc through both loops in the next st. Hdc in each of the last four stitches.